Categories: Best Sellers, Earrings, Latest Creations. 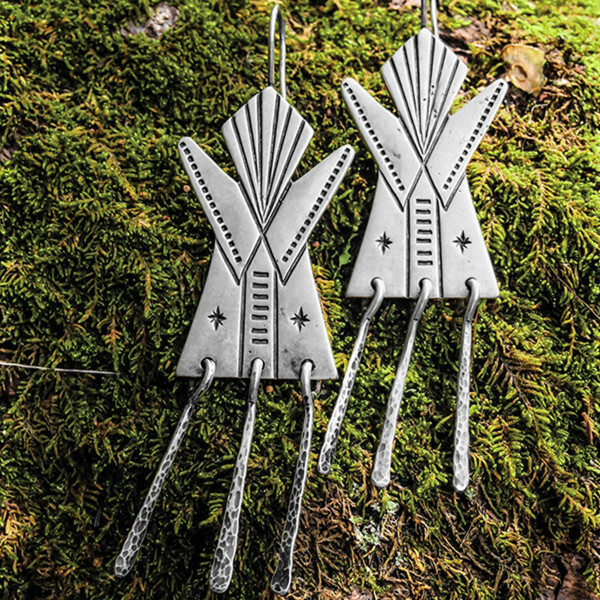 The JJS Tipi earrings are inspired from my very own childhood tipi that my mother hand painted,with sacred blue ponies and ravens, and gave to me, … it is now photographed on Instagram daily at our very Trading Post ~ The Nambe Trading Post. Tags: Jennifer Jesse Smith Jewelry, Native Jewelry, Soul Of The West, Southwestern Jewelry, Tipi Jewelry. While the iconic tipi was home to all nomadic Plains Indian Peoples, it was the property of the woman, and is considered symbolic of our great mother, the earth. 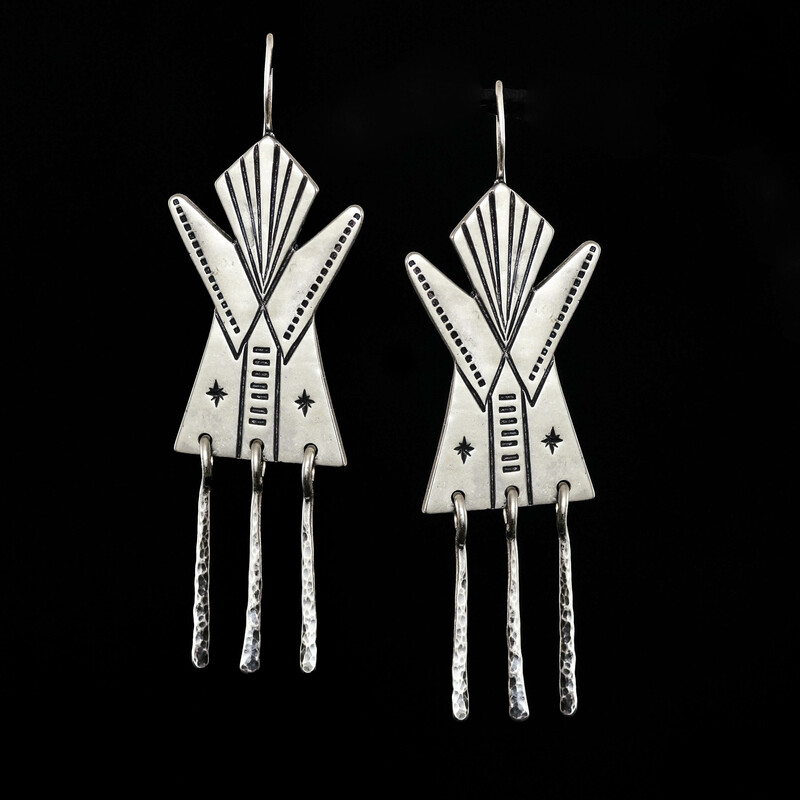 Sterling Silver with hand hammered dangles and JJS locking ear wire findings. Jennifer Jesse Smith Jewelry uses Fed-x ground and Fed-Express options. With the shipping of fine Jewelry insurance is required. We have found Fed-x to be be the most secure shipping method with tracking from departure, in transit, to Location. It is the responsibility of the customer to decide if they want to sign for package or have it left at a secure location. Customer service and care is important to me, for my clients. I will work with you to insure a safe delivery. Please feel free to connect via e mail or phone to discuss your shipping needs and concerns.